North and South Korea, countries with vastly differing ideologies, are heading towards reunification. Agreements for an end to their war and a denuclearization of the region are under way, which is a giant step for humanity. If two nations that have been separated since 1948 can find peace, what are your excuses for petty grudges? Fights over ex-girlfriends, money, or other pointless disputes are not enough to ruin lifelong friendships. 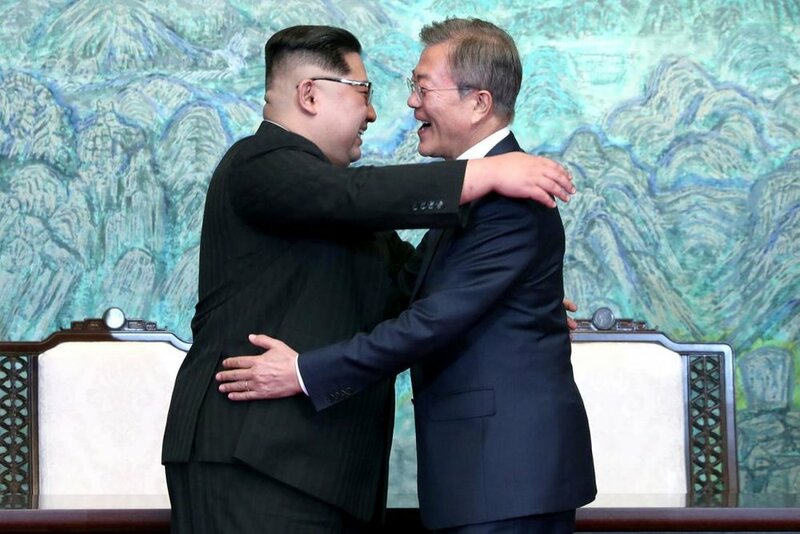 Shockingly, you should follow the maturity of North and South Korea in burying the hatchet in your own fractured relationships. The history of civil war between North and South Korea has been a consistent struggle for almost 70 years. North Korea invaded South in 1950, starting the Korean War and simultaneously igniting the Cold War. There have been political assassinations, submarine strikes, and open artillery attacks, generally in the direction of South Korea. Even though they’ve been constantly abused by their northern neighbors, the South Korean government understands that peace is more important than clinging to the past. “Many people hold grudges, deep ones that can last a lifetime.” Psychology Today states that most people wish they can move on from grudges, but simply cannot. When you feel wronged by another person, you take the role of the victim. Unless the other person rectifies the issue, moving on can be a difficult undertaking. Finding the route to forgiveness is a mature, important path to take as an adult. One of the biggest issues with holding grudges is being constantly surrounded by negativity. The feelings involved in these situations create a black cloud over your mood, especially when holding grudges with close friends or family members. Every time you encounter or hear that person’s name, your mood will plummet immediately. Holding a grudge hinders your ability to live your most positive, fruitful life. Grudges also don’t even serve the purpose they intend to. Holding grudges against people doesn’t generally help you get over any problems or issues. They serve as a barrier between you and the people that have helped you through previous tough times. That barrier encourages bad feelings between both parties, damaging the psyche of everyone involved. Ultimately, holding a grudge provides no positivity for anyone involved. How can you get past your grudges? First of all, unless you’re Mother Theresa, realize that you have wronged other people at some point in your life. No one is perfect; by realizing you have faults, it’s easier to forgive someone for hurting you. Once you come to that realization, figure out what exactly is the reason you’re holding the grudge. While there are damaging actions that are impossible to move on from, most issues can be fixed with time and effort. You may find it’s an issue of trust or honesty. If a loyal friend broke your trust just once, the grudge may not be worth the negative consequences you’re dealing with. Reflecting on the entire situation in an objective manner will allow you see things more clearly. Show compassion to the other person. While you’re clearly hurt or angry, the other party is likely feeling similarly or even worse than you are. Feelings of guilt and loneliness are damaging and can lead to depression or other emotional issues. It’s also possible you don’t see things from their point of view, so hearing their explanation and point of view allows everyone to understand each other. Society is becoming more selfish over time; being sympathetic to others has never been more important. Moving forward, there are ways to prevent these types of issues. When there is a moment or event that bothers you, be sure to handle it in a mature manner. Confront the issue at hand without allowing too much time to pass. By explaining your concerns with the situation, you make sure that person won’t treat you that way again; it also stops you from suppressing feelings of anger or sadness, preventing any potential blowups in the future. Be sure to distinguish the difference between someone pushing your buttons in a friendly manner and being hurtful; friendly ribbing is not worth risking a friendship over. North and South Korea showed the world that any issues over a given span of time can be worked out. Years of civil war and opposing worldviews weren’t a large enough barrier for peace; both parties were able to see the big picture. In your personal life, these types of grudges can’t become a barrier between you and your loved ones. Life is short. Reliable friends and loving family members don’t just pop up in your life. While everyone has disagreements, holding a grudge serves no positive purpose whatsoever; they’re bad for your health and emotional well-being. If you’re holding a grudge against someone you love, be mature and make amends; they need you as much as you need them.